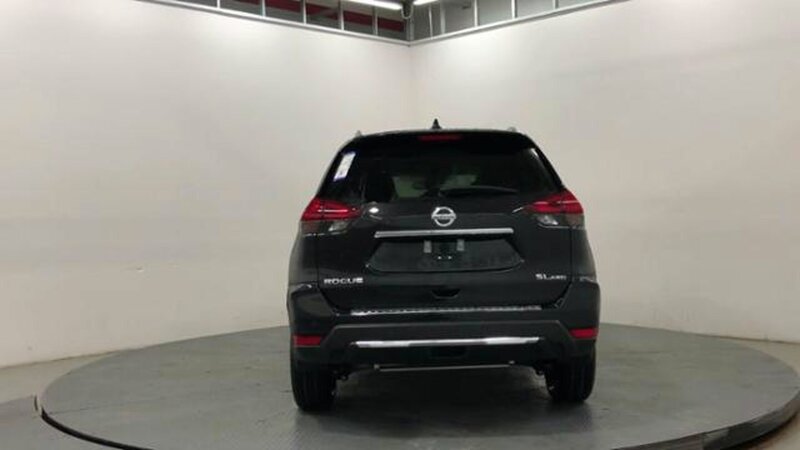 Description Navigation, Heated Leather Seats, Remote Engine Start, Dual Zone A/C, iPod/MP3 Input, All Wheel Drive, Aluminum Wheels, [B93] CHROME REAR BUMPER PROTECTOR, Power Liftgate, Premium Sound System, Satellite Radio, Back-Up Camera. SL trim, MAGNETIC BLACK exterior and Charcoal interior. FUEL EFFICIENT 32 MPG Hwy/25 MPG City! Warranty 5 yrs/60k Miles - Drivetrain Warranty; READ MORE! Leather Seats, Navigation, Power Liftgate, Heated Driver Seat, Back-Up Camera, Premium Sound System, Satellite Radio, iPod/MP3 Input, Remote Engine Start, Dual Zone A/C, Smart Device Integration, Hands-Free Liftgate, Blind Spot Monitor, Lane Keeping Assist, Heated Seats Rear Spoiler, MP3 Player, All Wheel Drive, Onboard Communications System, Aluminum Wheels. CHROME REAR BUMPER PROTECTOR. Nissan SL with MAGNETIC BLACK exterior and Charcoal interior features a 4 Cylinder Engine with 170 HP at 6000 RPM*.